The San Clemente girls tennis team has played in 16 matches this season, and in every one of them senior Lindsay Hung has yet to drop a point. Hung, who is at the top of the talented Tritons’ singles rotation, is undefeated on the year. She holds a perfect 40-0 record in singles competition. Hung’s efforts, along with fellow singles players Sami Neilson and Jenna Yeam, have been instrumental in the Tritons’ 14-2 start to the season. San Clemente is also 5-0 in South Coast League play. The Tritons defeated Mission Viejo 18-0 and San Juan Hills 6-2 last week to continue their undefeated run in league. San Clemente was scheduled to play Aliso Niguel on Oct. 10. Results were not available at press time. The San Clemente football team’s journey through the South Coast League begins with a home game against Tesoro on Friday, Oct. 13. The Tritons (6-0) will enter the game with plenty of momentum and will be well rested. 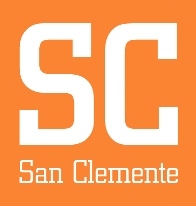 San Clemente was on a bye last week and are winners of their last 12 contests dating back to last season. Tesoro (3-4, 0-1 league) opened league play with a 42-6 loss at Mission Viejo on Oct. 6. The Titans have been a difficult team to gauge over the course of the season. They opened the year with a back-and-forth shootout loss to Edison, 48-47, and got blown out by La Habra, 45-14, only to rally back with a signature 48-44 victory over Los Alamitos, a team that has fluctuated in and out of the CIF-SS Division 2 top-10 rankings all year, on Sept. 29. Tesoro also has wins over La Serna and Huntington Beach and a loss to El Toro of the Sea View League on its resume. “In my opinion, (Tesoro) is better than their record shows. They took Edison down to the wire in a game they probably should have won … and they beat a good Los Alamitos team and found a way to win. I expect nothing but a close, tight-knit game, which is how it should be in league,” San Clemente coach Jaime Ortiz said. San Clemente and Tesoro played common opponents in Edison and Huntington Beach. The Tritons beat Edison, 23-20, on Sept. 29 and Huntington Beach, 62-20, on Sept. 1. Tesoro is led by senior quarterback Chase Petersen. Petersen is seventh in Orange County in passing yards (1,717 yards) and he is averaging 245.3 yards per game in the air. He’s thrown 19 touchdowns to nine interceptions. He’s also shown the ability to run, as his 79 rushing yards per game and team-high eight rushing touchdowns can attest to. The San Clemente offensive line will have to deal with standout Tesoro defensive lineman James Williams, who has 7 1/2 sacks. 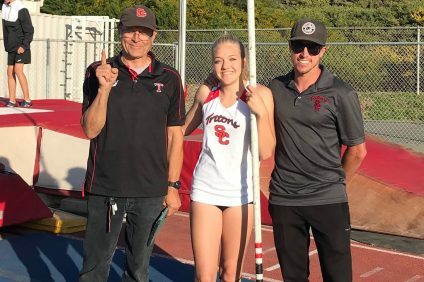 A two-match sweep of Trabuco Hills last week ensured the San Clemente girls golf team’s perfect record would remain intact. In an effort to keep pace with first-place Aliso Niguel, the San Clemente boys water polo team secured an important South Coast League victory against Capistrano Valley on Oct. 10. The win kept the Tritons (15-9, 3-1) in second place in the league standings. It was the third consecutive league victory for the Tritons, who defeated rival Dana Hills and El Toro on Oct. 3 and Oct. 5, respectively. Aliso Niguel (18-0, 5-0) remains the team to beat in league. The Tritons will travel to play the Wolverines on Tuesday, Oct. 17. 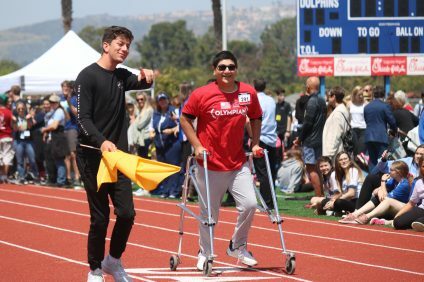 The San Clemente boys and girls cross country teams will navigate a brand-new track at this weekend’s running of the Orange County Cross Country Championships. The event, which will take place Friday, Oct. 13 to Saturday, Oct. 14, is moving to Oak Canyon Park in Orange for the first time after calling Irvine Regional Park home for the past 30 years. The Tritons’ schedule over the past two weeks was somewhat hampered by the raging fires in Corona and Anaheim Hills. The Sea View League prelim meet, scheduled for Oct. 3, was canceled due to the fires. The Triton girls cross country team competed at the Central Park Invitational meet in Huntington Beach on Oct. 7. Sophomore Belle Sachse was the team’s highest finisher at the meet. The San Clemente girls volleyball team is still in search of that elusive first South Coast League victory of the season following a three-set loss to Trabuco Hills at home on Oct. 10. The Tritons (4-9, 0-5) kept it close but lost, 25-20, 25-16, 25-23. San Clemente will travel to San Diego this weekend to play in the Southern California Hudl Invitational.